You’ve been hired to do a painting project. Congratulations! While you are on the job–and have already established a solid working relationship–there’s no better time to offer your services for additional projects. Before making any recommendations, be sure to assess and research the project and corresponding recommendation fully. This way, you can show off both your expertise and your hands-on skills. Your Benjamin Moore Contractor Rep is always available to help. 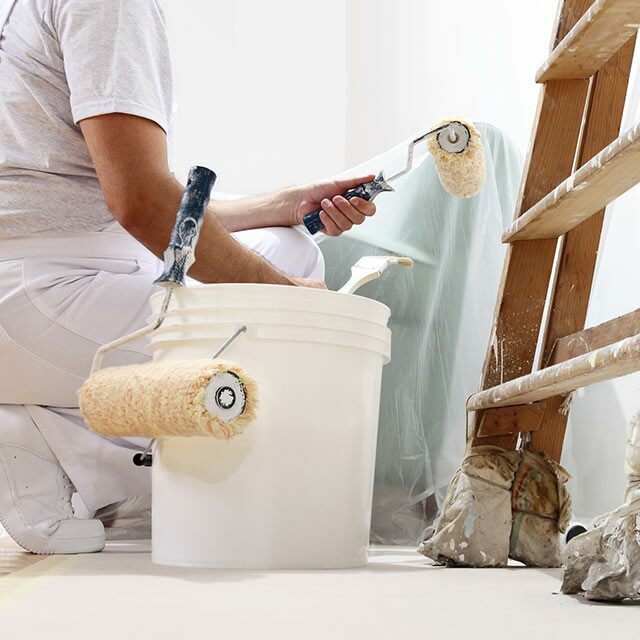 Here are some ideas–and associated Benjamin Moore products–that can help you lock down contracts for those add-on jobs and help increase your profit margins. Ceiling and trim are two of the most obvious add-on jobs. A fresh coat of paint on walls will only call attention to ceiling stains or dull, scuffed trim. Encourage your clients to paint trim, ceilings and walls all at once for a unified, polished look. With its ability to conceal common surface imperfections, ultra-flat Waterborne Ceiling Paint is a homeowner favourite. For trim, any premium Benjamin Moore paint, including Regal® Select Interior, Aura®, or ben®, are great options. Consider a semi-gloss paint if clients want to highlight architectural details. Painting accent walls is an easy way to upgrade a project – and enhance any room. Encourage your client to break up their four walls a colour that pops on one of them. 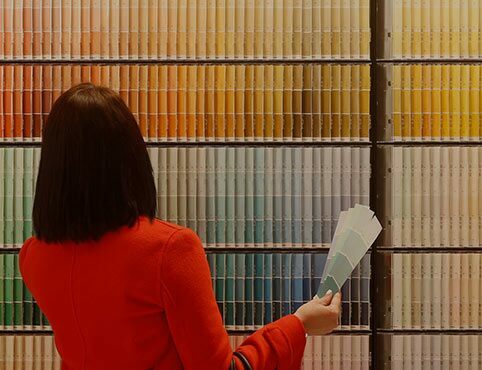 A local Benjamin Moore retailer can help consult on colour choice. Be sure to share Benjamin Moore’s online colour tools so clients can easily explore colour options to help streamline decision-making. If you think your client would like something truly special, consider CENTURY® paint. With a soft touch matte finish often compared to a soft leather glove, it comes in 75 deeply saturated colours, all pre-mixed. Or consider another designer favorite for accent walls: Aura® Colour Stories®, available only in Aura Interior Paint. If your client’s hardwood floor looks dull, suggest a polyurethane finish. Make sure they know that wood floor refinishing requires at least 3 coats with sanding in between. While it may be a 2-3 day project, the great results will show off the richness of the wood grain and enliven their room. Benwood® Stays Clear® F422 (High-gloss) or Benwood Stays Clear F423 (Low-lustre) are both durable, stain- and scratch-resistant, as well as easy to apply. These products are great for new or previously painted, stained or varnished interior wood surfaces, and can also provide a protective clear coat over any substrate. Kitchens, kids' rooms, furnished basements…there are no limits to the fun and functional aspect that a chalkboard paint project can bring to any home. Easy to erase, chalkboard walls provide a clean canvas time after time. Benjamin Moore ben® Chalkboard comes in over 3,500+ colours, so the options for creativity are endless. It is also easy to apply, fast trying, zero VOC and low odour. A fresh coat of specially formulated garage floor paint can bring a tired, beat-up garage back to life. If your client's garage floors are oil stained or worse, you can help them with a fresh new look. A clean epoxy floor will allow them to clean up spills easily without it penetrating into the concrete. Corotech® Polyamide Epoxy Coating (V400) offers heavy-duty protection for garage floors. This garage floor epoxy adheres to concrete easily and offers outstanding durability, extends pot life, and is easy to apply. Corotech Polyamide Epoxy Coating (V400) is available in semi-gloss and gloss sheens and can be tinted to wide range of colours, giving the homeowner beauty and protection for their new garage floor. Learn more about Corotech here, and check out these Corotech videos. Water-based INSL-X® Garage Guard® is another great option for garage floors and other concrete surfaces, like basement floors. There are many surfaces clients can transform into a dry erase wall including painted walls, wood, glass, metal, and laminate. Colourful, fun and functional, dry erase walls also wipe off beautifully with a dry erase eraser. Notable® Dry Erase Paint comes in white or clear, so if a client wants colour, they can use clear over any one of Benjamin Moore’s 3,500+ paint colours. Get familiar with how to apply Notable with this video. The easiest way to keep kitchens looking fresh and beautiful is to refinish the cabinets. Remind clients that painting kitchen cabinets will extend the life of their existing cabinets, which is a less expensive–and more straightforward–option than replacing them outright. Benjamin Moore’s ADVANCE® in any one of 3,500+ colours provides cabinets with a smooth, furniture-like finish. Refinishing cabinets is an intricate job, so reach out to your local Benjamin Moore Contractor Rep for support. Get familiar with how to apply ADVANCE with this video. Share these colour tips and tools with your clients to help them select paint colours they'll love.